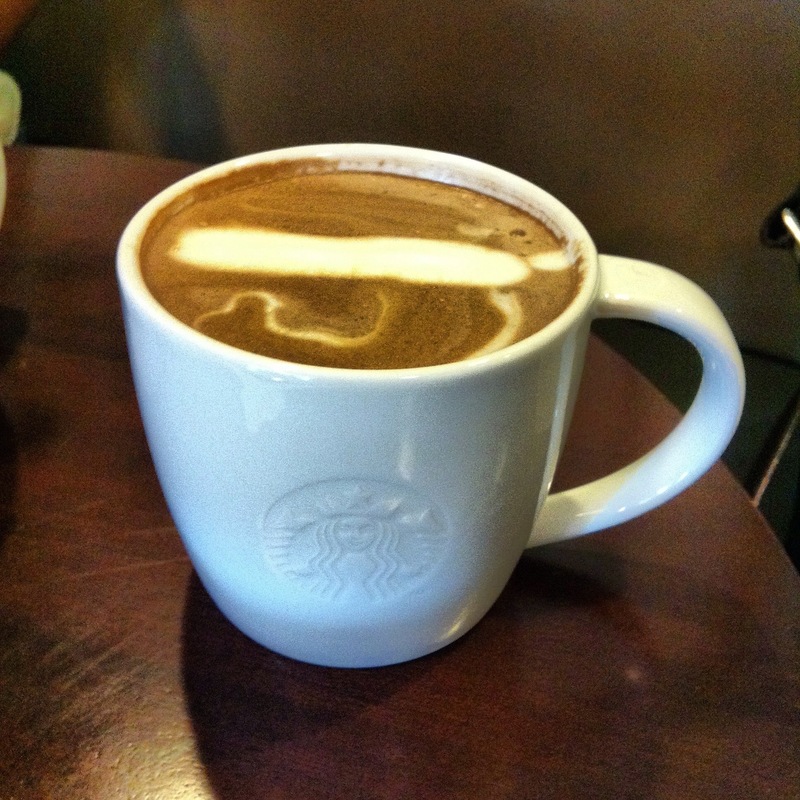 I’m here at Starbucks but instead of a Latte, I’ve reverted back to a Cafe Mocha, and damn does it taste good. Every time I take a sip it takes me back to when I first started drinking Mocha’s while blogging, and the feelings and emotions that were common then. I love this effect, where a certain stimuli triggers off certain memories, sometimes you have a hard time placing the familiar experience and you then spend a few minute cracking your head over it, and finally, once you’ve figured it out, spend a few minutes looking back and reminiscing. As I’m drinking my Café Mocha here, it just reminds me of all the others times I’ve sat at a Starbucks with this same drink, of how I would take a sip and stare into blank space while trying to future out my next post or to find the right word, or of how I would take a sip to fuel my mind as a thought was being expanded and stretched, and how exciting that process was, of how my fingers would have to race across my iPad to keep up with the words, thoughts and lines being churned out from my mind, and then the stillness when it was all over and all I wanted to say was typed out and ready to be posted (the problem always being they I always forgot to spellcheck, working on this problem). I love memory stimulation, it brings about a more real experience when recalling something. Replaying it in your head is one thing, but when you has external stimuli to trigger it and/or guide you, you live through it again, you re-experience it; whether the stimuli is sound, taste, smell or touch. The mor stimuli involved the more vivid the reliving of a memory can be, and sometimes it feels like you’re living in two worlds at the same time, and you know that can’t be true, but part of you actually believes it, or there is the other situation where you just want to continue reliving the memory because you have been taken to a time where live was better, in a situation where you just want to escape. And as pleasant as reliving a last memory can be (or how bad sometimes) you have to come to terms that it isn’t going to last because for the most part this re-experience depends heavily on the external stimuli, and once that ends, it’s only a matter of minutes before the memory becomes less vivid and in some situation, just a mere recollection of a sequence of events, lacking an feeling or emotion. Of course, all that I have written above it based upon my own experiences and you by all means may have a different experience entirely, but I’m feeling they this is a very innate human thing, so we will all experience something similar, the event of linking a memory with one or many external stimuli, strongly supported by our emotions. For when we relive a memory, it’s the emotion linked to the memory that finds us first, which then brings all the other pieces together to build this vivid experience. The emotion is the reason for it’s vividness. Then again, maybe someone has been spiking my drinks so that I ended up tripping? I’ll leave it to you to decide, believe and live what you want.